Never color outside the lines again with these fun, fuzzy designs that make it easy to color inside the lines. Choose from a variety of designs stored in a convenient floor pad with easy tear-out pages that makes it easy to store and fun for all ages to take on the go! 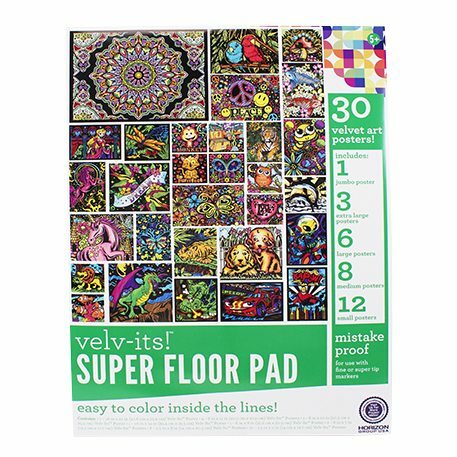 30 velvet art posters included for hours of coloring fun!